Banvit was on the verge of making a big comeback but Tyrese Rice, Ricky Hickman and Brose Bamberg managed to hold them off grabbing the BCL quarterfinals ticket. Brose Bamberg sealed the deal with an 88-85 road win over Banvit in Game 2. 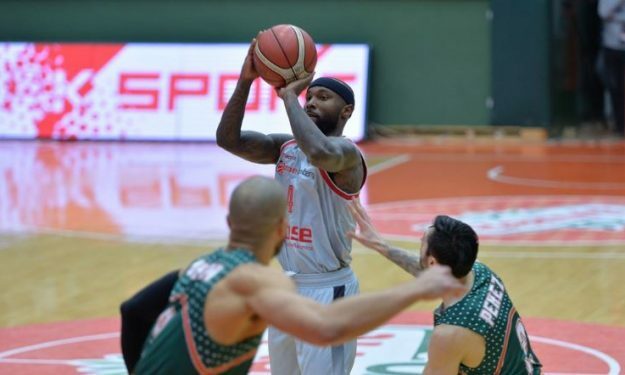 Tyrese Rice banked a total of 52 points in the two games which the German side won and advanced to Basketball Champions League quarterfinals with a 169-164 aggregate score. Bamberg was ahead in double-digits multiple times, they were also up by 11 points (71-60) early in the fourth quarter but Banvit would always find a way to recover on Gary Neal and Jordan Morgan’s shoulders. The Turks had a chance to win it all with scored tied at 81 but good defense by Hickman who also drew a foul on a three-point shot and made all three free-throws stopped them in their tracks. Hickman finished the game with 11 points while Rice scored game-high 32 points followed by Augustine Rubit’s 14 points. For Banvit, Morgan notched a double-double with 23 points and 14 boards in addition to Neal’s 18 points. In the quarterfinals, Bamberg will play against the winner of the Greek clash between AEK and PAOK. The reigning champions in AEK won the first game by a nine-point margin (84-75).